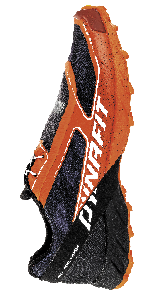 This is a light shoe with a narrow fit, designed for mountain running. The sole uses Vibram Litebase technology to deliver rugged, durable grip but with reduced sole thickness and weight. The v-shaped lugs give great traction on rock and light mud. 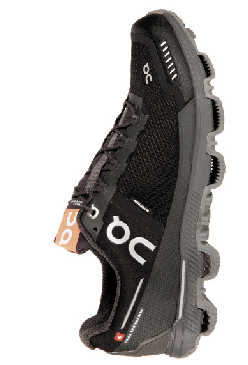 The upper is hard-wearing material, with a tough toe bumper for protection. There's a quick lacing system with a cover over the laces, which helps keep dust and debris out, plus a ‘heel preloader’ with a thick rubber band that adds tension to the heel and promotes a natural running gait. On the run they're light and responsive, but also provide good cushioning. Verdict: Fast, grippy, durable and lightweight shoe. For a minimal shoe, this offers a surprising amount of stability. You won’t get too many shoes that are lower to the ground – working off a 4mm heel drop – but equally you won’t get too many that feel quite so controlled. If you fancy venturing into the barefoot world but fear the consequences, then this is the shoe for you. You’ll enjoy the support and there’s even some cushioning which, given the sandal-like feel, you’ll be amazed by. Of course there are some downsides – yes, they’re breathable and great for canal paths, but don’t take them on rocky Alpine paths or boggy fell runs. Verdict: A fabulous entry into the world of barefoot running. 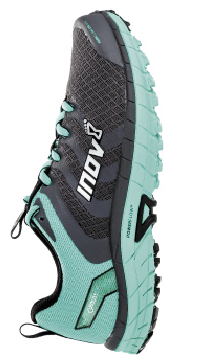 Given these are the first running shoes to feature graphene in the soles, Inov-8 promise durability without compromising grip. They have a lot to live up to as manufacturers say one pair’s soles lasted 1000 miles in testing. They’re so new we haven’t had chance to take them that far, but both the soles and the Kevlar-enhanced uppers seem to be standing up quite well after 200 miles. We found they coped well with the hard trails they were designed for and are very comfortable despite not much cushioning, with a wide forefoot. Precision is great, especially with the zero-drop heel-toe ratio. Verdict: Comfort from the first mile with good grip on hard trails. See here for our full review. An interesting shoe given Hoka’s well-known high rise feel. This, while sitting on Hoka’s usual superbly cushioned base, actually feels quite solid and low to the ground. It’s the kind of shoe that creates a feel for the surface, while offering good protection thanks to that Profly midsole, high-traction rubber and aggressive lugs. The resulting good traction means the shoe provides a nice feel at pace, so you could easily use them for racing as well as training. Hoka’s extreme cushioning means the 5mm heel drop is very easy to get along with and if you’re keen on moving to lower numbers, they’re a great starting point. Verdict: Fast paced, well cushioned, easy to get on with.